For every person who attends a mega-church, a mid-sized or a small one, there are millions who don’t. Blame the unchurched? Bad idea. That’s like blaming the customers for not walking into your shop. Maybe they don’t like what you’re selling. There are many excuses and reasons for why they don’t come, but surely what follows is one of them. A survey shows that, in part, narrow creationism drives people, particularly the young, away from church. Another survey says it hurts Christian colleges. This reaction is understandable. Let’s see if we can answer their concerns by reexamining Genesis 1. It’s time to cease from expending our energy of keeping all the plates spinning by interpreting it scientifically. Reading Gen. 1 thus becomes exhausting, not restful or joyful! To see the ancient author’s explanation for choosing six days, let’s lay out the basic structure of the text. It is rhythmical and poetic in its repetition and cadence. Clearly the original Hebrew author, divinely inspired when he put writing instrument to writing material, had in his mind religious practice. The Sabbath lesson is reinforced in Ex. 20:8-11, in the middle of the mighty Ten Commandments. God kept the Sabbath after he created / worked six days when he made the world. Verse 11 looks very similar to Gen. 2:1-3. So in Gen. 1 and 2:1-3, God, leading by example, shows the ancient Hebrew reader or listener that he must keep the Sabbath, and in Ex. 20:8-11, he tells him. In both, he is depicted as a creator / worker. The Sabbath is so important that even God instituted and kept it by ceasing from his labor of creating and making! 1:1 contains seven (Hebrew) words and verse 2 contains fourteen words (2 x 7). The closing verses 2:1-13 contain thirty-five words (7 x 5). In 1:1 to 2:1-3, the word God appears thirty-five times (7 x 5). In the same long section the word earth twenty-one times (7 x 3). This appearance of seven and its multiples draws attention to the seventh day, the Sabbath (sabbath = seven). Clearly, then, the six-and-seventh days framework and other sevens (confirmed by other religious festivals or days in v. 14) mean that the entire section of Scripture is run through the filter of religious practice and is not intended to be forced into the meat grinder of modern science. Thus these poetic theological elements no longer bind us to interpret Gen. 1:1 to 2:3 scientifically and certainly not historically; we can be free of this modern concern and anachronism (out of sequence or bad chronology). (2) Infallible moral law or truths that teach us how to live here on earth with humans and before God. The Bible is very much a practical book, to guide human behavior. (3) Incidental, changing vehicles for the first two truths: poetry, law, parables, narrative-stories, rituals, prophetic pronouncements (oracles), aphorisms, proverbs, history, rudimentary “scientific” claims, and so on. Even religious practices like the Sabbath and sacred days and seasons are incidental to the first two truths. Gen. 1:1-2:1-3 conform to those three things in this way. (1) Theological: God is the powerful Creator, who oversees all of creation, which he spoke into existence and called good and blessed; the verses boiled down teach us not so much how he created (other than speaking), but that he created and why. (2) Moral: The Sabbath lesson teaches ancient Hebrews how to live righteously each week before God and with their families and neighbors. And religious festivals marked by creation are intended to be honored and kept for the sake of order. So we have these elements in Gen 1: poetry, narrative, religious festivals, Sabbath, and creation. Main character: God. God and creation take priority over the first three. Reduced to its essence, Gen. 1 is about creation and its Creator. Also, God is shown to have become a Hebrew worker who instituted and honored the Sabbath long before actual Hebrews lived and this ritual law existed at Mt. Sinai, but at creation! This inspired anachronism (out-of-sequence chronology) opens the door to alternative interpretations that are not scientific. It goes deeper than that old (but still relevant) hypothesis. It is a Sabbath lesson as well as honoring other sacred days and seasons: God kept it and honored them, and so should ancient Hebrews! And whether this interpretation is old or recent, it is the clearest one of Gen. 1:1-2:1-3, since the entire passage states it explicitly–the framework of six-and-seventh days. It has stood the test of time. Surely you are not saying God rested by kicking up his feet, folding his fingers behind his head, and sleeping. God’s Sabbath rest has to be deeper than that. But Walton’s analysis is only one interpretation. And it has weaknesses, though none fatal. First, and this one is very insignificant, Prof. Walton sees the six days of ordering the cosmic temple as inaugurating it, while usually inauguration should mean the ribbon-cutting ceremony that comes on the seventh day. But if he has a different definition of inauguration than I do, then so be it. He may be right. Second, the ancient Mesopotamian and Egyptians sources which Walton cites (pp. 78-81) explicitly state the words house or temple and show the god or gods entering them. Gen 1:1-2:1-3 do not explicitly use those terms and do not show God entering it. It would seem that if this cosmic temple were of primary importance to the ancient author of Genesis 1, he would have said so, since the parallel texts say so. Third, since the ancient author did not say so, Walton has to import the metaphor or image of a cosmic temple into the Genesis text (cf. Psalm 132:7-8, 132:14, Ezek. 43:7, and Is. 66:1-2). There is nothing wrong with a little eisegesis (reading into a text) when ancient sources parallel the Bible. But he says in Chapter / Proposition 11 that his interpretation is “face-value” (what is simply there or clear). It is a face-value interpretation when he exegetes (leading truths out of a text) the Hebrew words for create and make, but not the cosmic temple. The Sabbath lesson and marking religious festivals is the real face-value interpretation of Gen. 1:1-2:3 since the text actually and explicitly supports it–six days of work and the seventh for rest. This is confirmed in Gen. 1:14 and in Ex. 20:11, exactly in the context of the Fourth Commandment about the people keeping the Sabbath because the Lord kept it after working on / building / creating the universe. How much clearer do Gen 1:1-2:1-3 have to be about the Sabbath? Walton agrees with the Sabbath lesson, but says it does not go far enough (pp. 111-12). With that said, both this post and Walton agree that Gen. 1 has deeper theological purposes than modern science. Gen. 1 fits in its ancient historical context, not a modern one. Why can’t the Sabbath lesson be an eternal, spiritual truth? This shows that the three textual components (theology, moral, and incidental vehicle) are arbitrary and difficult to sort out. No, they are not arbitrary, but sometimes they are difficult to sort out, though not in this case. Keeping the Sabbath is a weekly ritual that contains moral truth, but is not normally considered theology as much as a practice. And the same is true of religious days and weeks in Gen. 1:14. In fact, Christians don’t have to keep them or the Sabbath at all, unless they want to (Matt. 12:1-14, Rom. 14:5 and Col. 2:16-17; go here for more information). God’s keeping the Sabbath in Gen. 1:1-2:1-3 (and Ex. 20:8-11) is merely an object lesson or illustration that leads by example. And as noted, the seventh day of rest could be interpreted as the inauguration of his cosmic Temple. You mentioned alternative interpretations? Which ones? Usually, pastors teach spiritual, theological and moral truths from the text (the first two components of the Bible). They are wise to limit their sermons in that way. The interpretation at no. 2, above, is another one. What we should not do for honest and intelligent seekers outside the church is to impose scientific and ultraliteral, six-day twenty-four hours on creation (see no. 5 for links to the science websites that demonstrates an old universe). Are you saying Gen. 1 is a (false) myth and anti-historical? Not a myth at all! The living God really did create those things. However, the Sabbath structure showing God to be a devout Hebrew worker (at creation before the human Hebrews and their law existed!) who honored and kept the Sabbath—indeed instituted it!—is incidental to the eternal truth that God is the Creator, large and in charge. As for the Gen. 1’s historicity, how could this writing be historical in the modern or ancient senses when the author was no eyewitness? How could any human witness creation at the beginning? How could the traditions about creation be handed down at all, let alone reliably? The author’s status as a non-eyewitness gave him permission, as noted, to create a poetic narrative about God being the Creator and keeping the Sabbath (and possibly ordetring and inaugurating a cosmic temple). It is –and can only be–a free interpretation. Gen. 1 is not an historical account, for they describe events that happened 13.7 billion years ago, so how could it be historical? The first two truths dominate (theology and practical / moral behavior). Therefore, let’s keep a loose grip on Gen. 1 and not force it through the meat grinder of modern science and history, biblical or modern. The text plainly says six days of twenty-four hours. So we must scientifically interpret it within that stated timeframe, or else Gen. 1 is a lie. One’s interpretation can be mistaken. The twenty-four hour day is clear (“and there was evening, and there was morning”). But how do we dare ignore the author’s stated intention of God’s Sabbath keeping? A Sabbath teaching required him to use the structure of six days and the seventh day. And how could the author be said to lie when he fulfilled his stated purpose? Therefore, the word lie is misguided here, and so is scientific demands imposed on six days of twenty-four hours. As for the belief that God actually and really completed (in the real world outside the poetic narrative of Gen. 1) his work 6,000 to 10,000 years ago in literal twenty-four hour, six days (but made things look old for some strange, deceptive reason), consider these established facts: The evidence is overwhelming that the universe is about 13.7 or 13.8 billion years old, and the earth is about 4.5 billion years old, facts which can be tested and confirmed several ways. Paleontology and fossils say that dinosaurs and other living organisms lived tens and hundreds of millions and even over a billion years ago. Paleontology and genetics tell us that humans like us appeared about 100,000 to 150,000 years ago. If certain Christians keep promoting silliness about a young earth, they will make Gen. 1 appear discredited—by their scientific interpretation—and scare off honest and intelligent seekers from the eternal theological truths of Scripture, like God the Creator, salvation and the kingdom of God. The text in Gen. 1 is clear that a day is not a thousand years, for this refrain is repeated six times: “and there was evening, and there was morning.” However, once we understand the ancient author’s original purpose, then we do not have to perform interpretive gymnastics just to make modern science dominate or interpret this premodern text. If we don’t interpret Gen. 1 literally, then we cannot consistently and rightly interpret the resurrection of Christ literally. 3 For what I received I passed on to you as of first importance: that Christ died for our sins according to the Scriptures, 4 that he was buried, that he was raised on the third day according to the Scriptures, 5 and that he appeared to Peter, and then to the Twelve. 6 After that, he appeared to more than five hundred of the brothers at the same time, most of whom are still living, though some have fallen asleep. 7 Then he appeared to James, then to all the apostles, 8 and last of all he appeared to me also, as to one abnormally born. So there is absolutely no necessary connection between how Gen. 1 was written (analogically) and the preaching of the life, ministry, death, and resurrection of Christ (digitally). But all truth is God’s truth. He inspired Gen. 1, so we can cross-examine it by modern science, which is also God’s truth. Remember, when Gen. 1 was written (and before), no human was an eyewitness to creation, nor could he be. Therefore, that inspired biblical chapter is definitely a free interpretation. God inspired the ancient author to write Scripture infallibly, yes, but the author kept his brain intact and was not an android under the influence of dictation or spooky auto-writing. He wrote to his ancient Jewish culture in the Ancient Near East. Despite this divine inspiration, he did not know and could not have known about modern science. The Bible may have been written for all humans in all times (see the theological and moral truths, above), but not originally to them. As for “science” in Gen. 1, here is a list of some created things: light; water in the sky above the (hard) vault; land and vegetation; greater light (the sun), the lesser light (the moon), and stars; the seas and waters and living creatures in the sea and water; birds, animals, and humans. That list of rudimentary “science,” observable by ancient humans, is purposed merely to show the theological truth that God created them. The how he did it (other than speaking) takes second place (or no place) to the truth that he did it and why. Thus, forcing those natural elements through the filter of six sequential days or eons of days in a progression (simple to complex) may work sometimes, but such concordism (harmonizing the Bible and modern science) can stretch the original purpose too far. For example, land produced vegetation before “the greater light to govern the day” (the sun) was created. So the author did not factor in normal photosynthesis by the sun. And astronomy can now tell us that the sun, moon, stars, and the other lights are not literally “set in” a hard sky vault (Gen. 1:14-19). The author believed in the vault because ancient near Easterners also believed it; the author of Gen. 1 lived in his own historical context, not ours. Concordism over-burdens the Gen. 1 beyond the existence of those natural and visible and created things stated in the text. Are you saying concordism (harmonizing the Bible with modern science) is always wrong? Some argue that concordism should not be done at all. And too much or hard concordism looks desperate and silly to harmonize what was never intended to be taken scientifically by modern standards and goes beyond the ancient, original author’s purpose. I add–how could an ancient author determine the real and actual age of the universe (outside his narrative world)? He did not have modern science to help him. In the areas of astronomy and geology, one must use extreme caution. Better yet, don’t force agreement or concord or harmony at all in those and other areas (e.g. molecular biology), some would wisely say. It sounds like you believe truth and error is relative to a culture. Knowledge can be restricted to one’s culture. What people in the Ancient Near East did not or could not know (black holes or molecular biology) cannot be held against them. The list of created items, above, conforms to the barest of minimal science. But once again, the original author did not intend to present modern astronomy—he knew nothing about it. He was inspired to write infallibly, but not more deeply about science than what appeared to his eyes every day and night, from his limited, earth-bound perspective. The author believed his words were true and error-free, to the best of his (limited) knowledge, with the added poetic structure of a Sabbath lesson and sacred days and seasons (or inaugurating his cosmic temple). Once again, accommodationism is the answer. Accommodationism or to accommodate means these things: To allow for their ancient culture and outlook; to adapt our interpretation of their claims of the world of nature to their own time; to make room for their limited knowledge about advanced science; to relax about imposing our modern science on their limited knowledge of science. Let’s not impose a modern science interpretation when it is not originally intended. Instead, let’s accommodate the premodern science of Gen. 1. We live in the Age of Modern Science, and apparently this intellectual context gives permission to certain interpreters to place on the ancient text a science burden so heavy that the author’s original purpose gets distorted and over-interpreted. The fault lies not in inspired, infallible ancient Scripture, but in the modern science interpreters. It is unfair and anachronistic to impose modern science on ancient Gen. 1. The ancient author was a devout Hebrew who was more interested in God’s creative power and the Sabbath and sacred days and seasons than modern astronomy. Therefore, Gen. 1, a poetic narrative about the Sabbath and sacred days and seasons and God the Creator (and possibly the cosmic temple); Gen. 1 was true and error-free for him by the standards of his purpose, expressed through his experience with the natural world (what he saw with his own eyes); Gen. 1 was part of the ideas about origins circulating around the Ancient Near East. Accommodating the author in his historical context—as the historical-grammatical method demands—means that scientism and hard concordism and accusations of errors about modern science are misplaced and ungenerous. Those two surveys, above, about narrow creationism scaring people away from church show that if we don’t drop our hard scientific interpretations and concordism of Gen. 1; if we don’t interpret it by the author’s stated purpose of keeping the Sabbath and sacred days and seasons (and possibly cosmic temple building and inaugurating); and if we don’t accommodate the inspired, infallible ancient author’s limited knowledge of (modern) science; then we will be responsible for scaring away honest and intelligent seekers from biblical, eternal, theological truths expressed in these incidental vehicles like the Sabbath lesson and rudimentary creation. And we will drive Christian thinkers away from church and hurt Christian colleges. Love should be the goal of our interpretation, not fighting. Honest and intelligent seekers of Christ and his claims–don’t be scared off by narrow interpretations of an ancient, premodern poetic narrative! Augustine says no to silly interpretations of Genesis. Anderson, Berhard W. “From Analysis to Synthesis: The Interpretation of Genesis 1-11.” In Richard S. Hess and David Toshio Tsumura, eds. “I Studied Inscriptions from Before the Flood”: Ancient Near Eastern, Literary, and Linguistic Approaches to Genesis 1-11. (Eisenbrauns, 1994), pp. 416-35. Alexander, Denis. Creation or Evolution: Do We Have to Choose? Rev. ed. (Monarch, 2014). Applegate, Karen and J. B. Stump, eds. How I Changed My Mind about Evolution: Evangelicals Reflect on Faith and Science. (InterVarsity, 2016). Blocher, Henri. In the Beginning: The Opening Chapters of Genesis. Trans. David Preston. (InterVarsity, 1984). Buchanan, Scott. “Some Simple Evidence for an Old Earth.” Letters to Creationists.wordpress.com. Sept. 2014. (By “creationists” he means Young Earth Creationists. Enns, Peter. “The Firmament of Genesis 1 Is Solid, But That Is Not the Point.” Biologos. (no date). Fergusson, David. Creation. (Eerdmans, 2014). Haarsma, Deborah B. and Loren D. Haarsma. Origins: Christian Perspectives on Creation, Evolution, and Intelligent Design. Rev. ed. (Faith Alive, 2011). Haarsma, Loren. Where are Adam and Eve in the Story of Evolution? Four Possibilities. BioLogos. July 2017. Halton, Charles, ed. Genesis: History, Fiction, or Neither? Three Views on the Bible’s Earliest Chapters. Counterpoints. (Zondervan, 2015). Keathley, Kenneth, J. B. Stump, and Joe Aguirre, eds. Old-Earth or Evolutionary Creation? Discussing Origins with Reasons to Believe and Biologos. (InterVarsity Academic, 2017). Kitchen, J.A. On the Reliability of the Old Testament. (Eerdman’s, 2003). Lam, Joseph. “The Biblical Creation in its Ancient Near Eastern Context.” BioLogos. (Jan. 2010). Lamoureux, Denis O. Evolution: Scripture and Nature Say Yes! (Zondervan, 2016). —. I Love Jesus & I Accept Evolution (Wipf and Stock, 2009). Lewis, Jack P. “Days of Creation: Historical Survey of Interpretation.” ETSJETS (Dec. 1989). Moreland, J. P. and John Mark Reynolds, eds. Three Views on Creation. Counterpoints. (Zondervan, 1999). Payne, J. Barton. “Theistic Evolution and the Hebrew of Genesis 1-2.” ETSJETS (no date). (the point: Hebrew words are neutral about evolution, neither supporting or contradicting it). Sterchi, David A. “Does Genesis 1 Provide a Chronological Sequence?” ETSJETS (Dec. 1996). Stump, J. B., ed. Four Views on Creation, Evolution, and Intelligent Design (Counterpoints: Bible and Theology) (Zondervan, 2017). Walton, John H. The Lost World of Genesis One: Ancient Cosmology and the Origins Debate (InterVarsity, 2009). —. The Lost World of Adam and Eve: Genesis 2-3 and the Human Origins Debate. (InterVarsity Academic, 2015). —. “The Cosmic Temple Inauguration View of Genesis One.” Video. The Hill Country Institute. Oct. 2011. Watts, Rikk E. “Making Sense of Genesis 1.” American Scientific Affiliation. 2002. 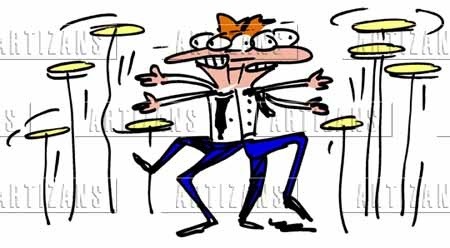 Source for spinning plates image. This entry was posted in Bible and Theology, World Religions and tagged Gen. 1 and science, Interpreting Genesis 1, Seekers of God and genesis 1, skeptics and Gen 1, What is purpose of Gen. 1 by james malcolm. Bookmark the permalink.